The Esklets, four km south of Westerdale in the NYMNP, is well known for being the source of the River Esk. There used to be a farm there too. Here's my picture taken in about 1975. 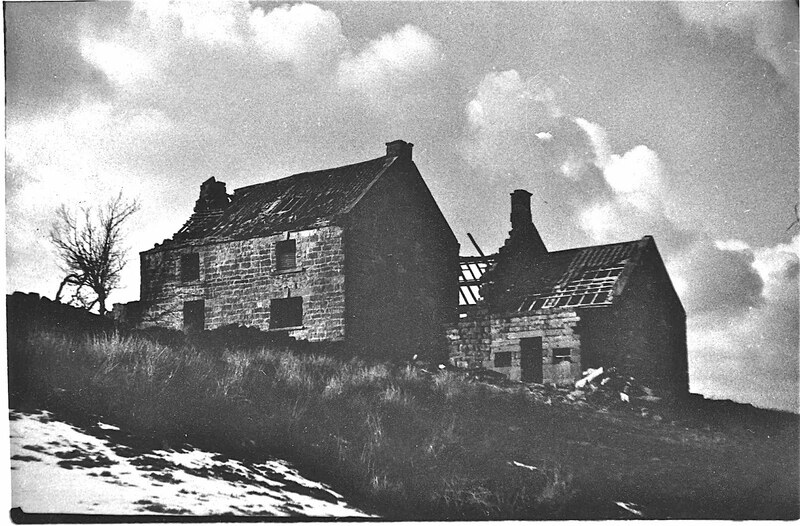 It was knocked down and the rubble used to create a farm track in 1978. I met the owner as he admired his new track and asked him why?, and he told told me so many people were using it, it was dangerous. So he knocked it! 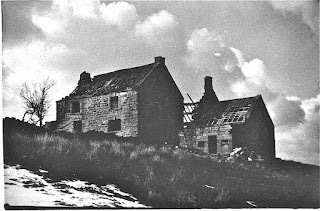 He also told me it hadn't been lived in since WWII, which like many buildings on the edges of the moors had been evacuated to allow the military use the moors for live firing ranges.